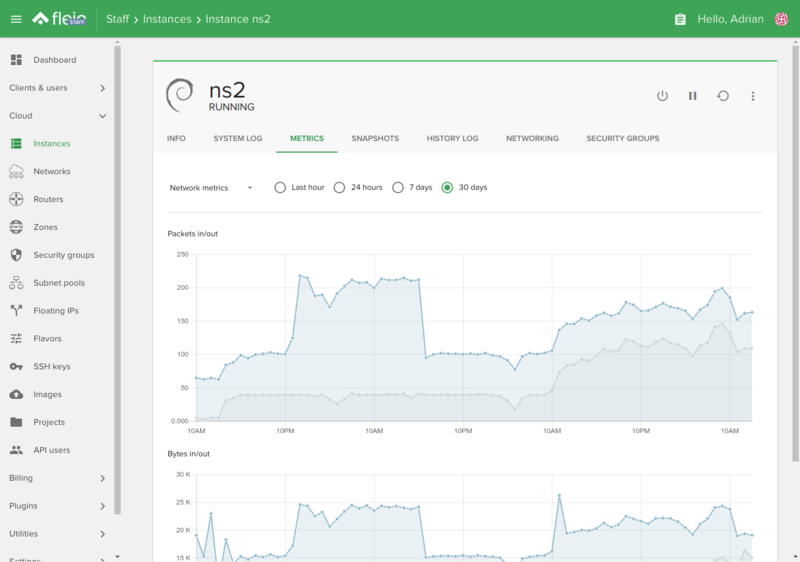 If you’re a cPanel NOC partner and selling cPanel licenses, you have access to the cPanel manage2 API. This Fleio module enables your customers to order cPanel licenses and specify the IP address they want the license on. 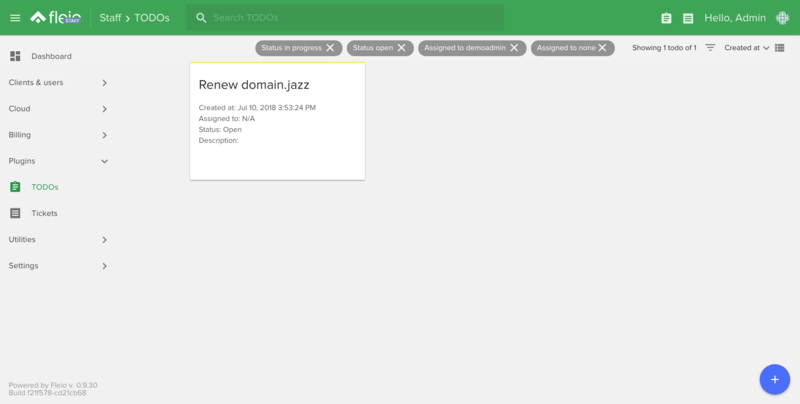 Licenses are automatically created when paid and automatically suspended if not paid. Fleio products allow to define what your customers can order and the recurring payment cycles (hours/days/months/years). 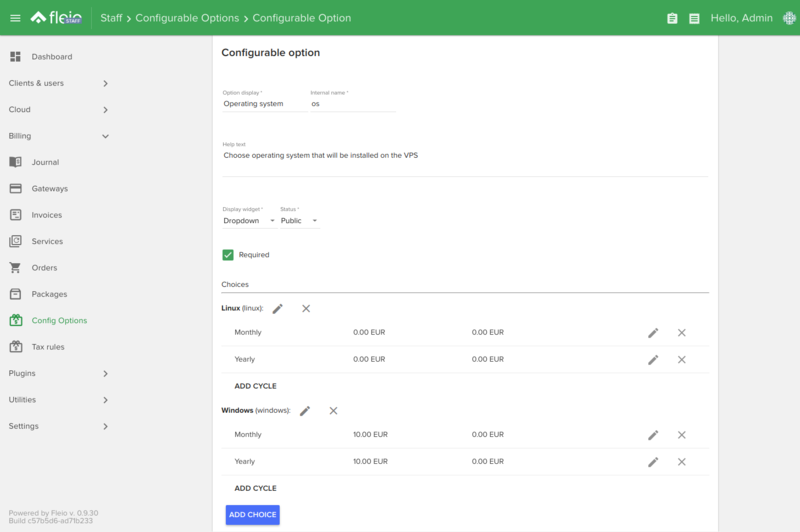 Now you can define configurable options for a product, like service location, extra storage space, dedicated IP addresses etc. Configurable options can be free or paid. 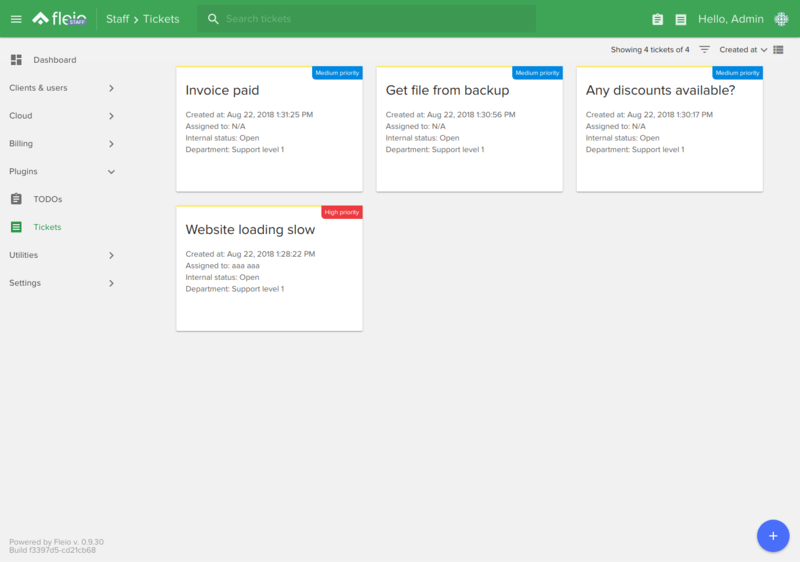 A basic support tickets system is now available in Fleio. 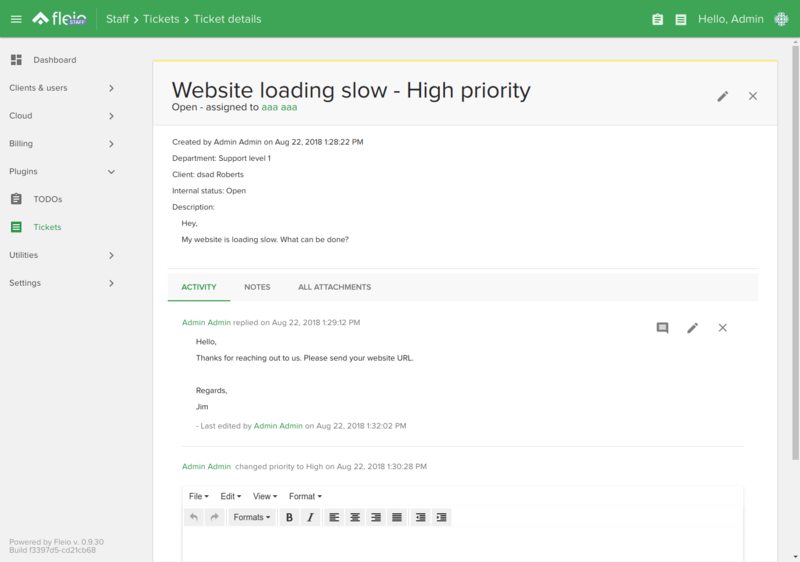 Tickets are automatically created from messages sent to support or end-users can create tickets from the web interface. Filter compute instances by state, owner etc. We’ve added filters to almost all list views. For instance you can filter OpenStack compute instances client, creation date, region or status (active, paused, error etc.). You can choose to only show filtered items or exclude those items. The goal is to automate as much as possible the operations in your cloud hosting business. But sometimes you don’t have a module for some of your services or an external API call fails. That’s where the TODO module comes in handy. 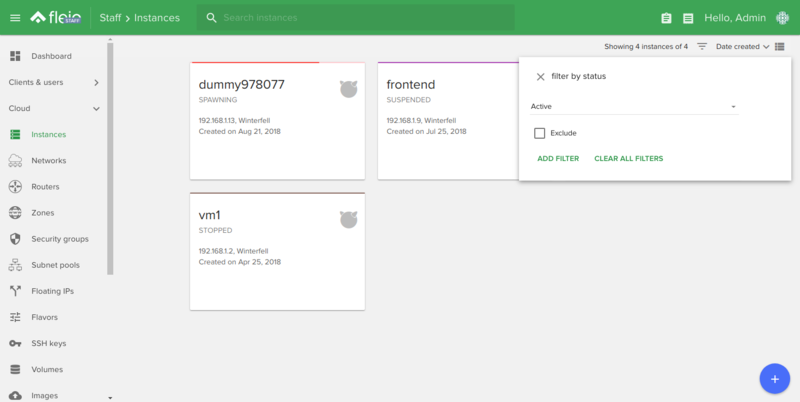 Fleio is creating TODO entries when this happens and third party modules can create custom entries as well. Allow staff users to perform all operations, none or selected set of operations. 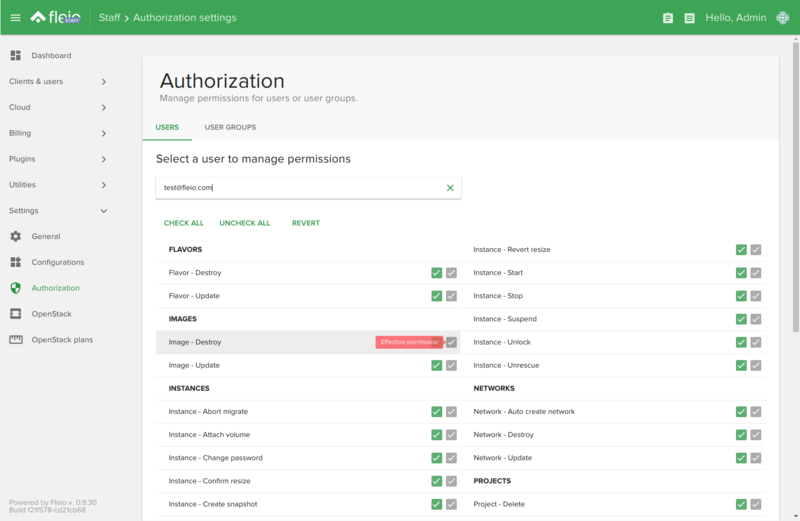 You can define authorized operations per user or per group of users. Fleio now supports custom modules with frontend code that is downloaded from the backend and dynamically loaded into the users’ browsers. 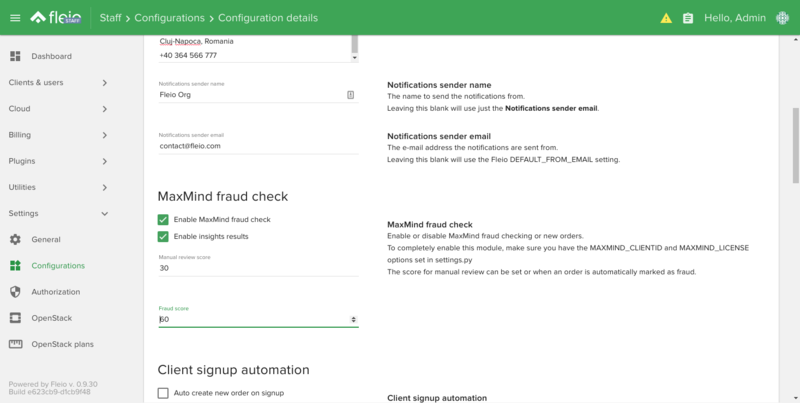 MaxMind minFraud service provides real-time fraud analysis, post-query alerts, and data points to inform manual review and custom rule creation. 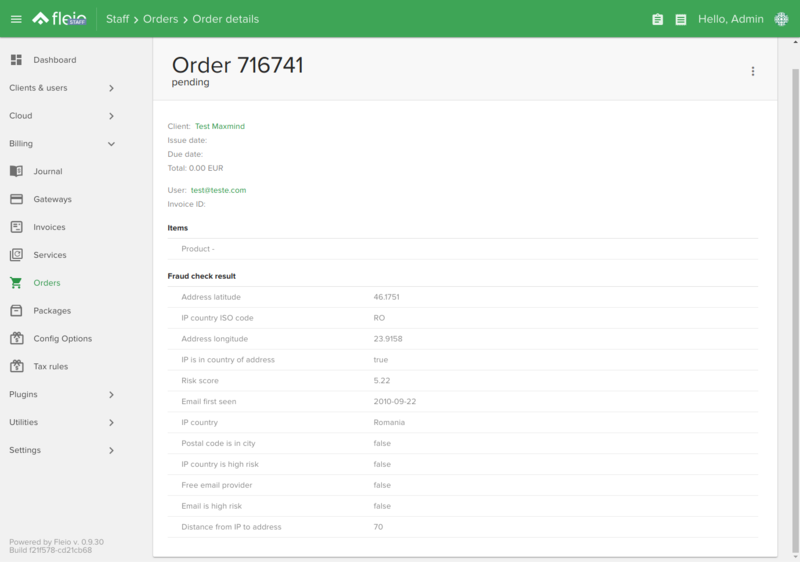 You can configure Fleio to run a Maxmind fraud check analysis on newly placed orders. Need a feature? Let us know!